What is it? Isn’t it just a Thai cooking flavor? A spice they put in soup? Well it is most definitely used in many East Asian dishes but lemongrass is so much more. Originally from India (native to Asia), this perennial grass can grow very quickly reaching heights of 1.5 metres or 4 feet and a width of almost the same measurements before harvest. It is now grown and harvested in the West Indies, Africa and Tropical Asia. Lemongrass is also known as Cymbopogon Citratus or Andropogon Citratus and has at least 55 different species of grass in its genus. Once harvested the leaves are dried and then steamed and distilled to extract the essential oils resulting in a brownish-yellow or yellow liquid. The oil has a thin consistency but has a very strong scent. It has a lemon smell which the name suggests but is slightly sweeter and less sour than that of lemons. Most relate lemongrass to East Asian cooking. A common spice or flavour in their dishes. While this is very true lemongrass has many other uses. Here are a few interesting facts you may not know about lemongrass. It is considered an herb. It is a part of the grass family. It is a perennial plant meaning it is a recurring plant, coming back each season or constantly growing. Lemongrass tends to grow up and in large clumps. It grows in East Asian tropical climates such as Indonesia, China and Malaysia. Its leaves are bright green with sharp edges. Looks like typical lawn grass only quite a bit larger. Used in many cultures for its analgesic, antiseptic, antipyretic and diuretic properties, to name a few. Can be used as an airborne disinfectant. Over the last few years many interesting studies have been performed to test the antibacterial and antifungal properties of lemongrass; thus reinforcing its antiseptic properties. Its chemical composition can vary depending on the region it is grown in. Must consist mainly of citral to get the full essential oil benefit out of it. Lemongrass can be used not only as a spice in many East Asian dishes but it can be used as an essential oil. As an essential oil it can be used on its own to help with many body ailments or it can be combined with other essential oils to create a tonic. Lemongrass has many healing properties ranging from an anti-inflammatory to an antiseptic to an antidepressant to a sedative. How can one essential oil do all of this? Very simple, it is because of all of its properties, vitamins and minerals. Because lemongrass contains so many essential vitamins and minerals in it is it able to do it all. It contains vitamins A, B1, B2, B3, B5, B6, folate and even vitamin C. It also contains the following minerals iron, zinc, calcium, magnesium, manganese, copper, potassium and phosphorous. Lemongrass has at least 22 health benefits and uses in one’s daily life. Because of its many properties, vitamins and minerals lemongrass is an essential essential oil for use in your daily life and for those around you. Lemongrass has a very calming and soothing effect thus helping to reduce stress and tension which is very beneficial for those suffering with depression and anxiety. It helps to uplift the mind, body and spirit of a person thus giving them more hope, confidence and boosting their self-esteem. Helps to increase mental strength as well. Very beneficial for those with acute depression and/ or anxiety, but can help those with non-acute depression and anxiety especially when combined with other essential oils. Lemongrass helps to fight off free radicals. What are free radicals? Free radicals are unstable molecules in the body that are missing an electron so they try to connect with, link up or steal their missing electron from another healthy molecule but in the end they end up destroying them. These free radicals have been known to cause cancer as well as other health problems and aging. The citral in lemongrass has been known to prevent the growth of cancer cells, especially skin cancer cells, in the body when treated early on. Due to its antimicrobial properties lemongrass makes a perfect bacterial or fungal killer. It helps to limit if not stop the growth of bacteria and fungus both internally and externally. Helps with stomach bugs, wound care, respiratory problems and even athletes foot. Because of these features it makes a good additive to lotions, scrubs and soaps. Lemongrass is known to have galactogogue properties, meaning it helps to increase lactation while breastfeeding. Not only does it help to increase the formation of milk it also helps to enhance the quality of the milk too. Lemongrass also helps to build-up the baby’s immune system due to its antibacterial and antimicrobial properties which can help the baby to avoid infections. All of this also helps to bond mother and child a little more knowing that as a mother you are helping to give your child better and more milk as well as helping your child to be healthier and safer from infections. Lemongrass is a lovely bug killer. Killing and keeping away mosquitos in the summer months is so very important. Simply keep a lemon grass plant around in the yard or spray yourself down with the lemongrass just as you would with regular store bought bug spray. The high citral and geroniol content in lemongrass helps to keep the bugs away. It can also be used on pets too. With its bacteria fighting properties and its pain and inflammation reduction properties it is no wonder that lemongrass is such a good cold and flu fighter. It helps to calm the body and open up the airways. It helps to reduce the aches and pains. It helps to reduce inflammation and fevers. It helps the body rid itself of the bacteria it is trying to fight. Use in a vaporizer for optimal respite. Lemongrass can be used not only as a natural home deodorizer but can also be used as a natural deodorant. The sweet lemony smell is perfect for the home or body because it is not over powering and since it has antiseptic properties it is perfect for the home or body. It can be combined with water and added to a diffuser to mist throughout the home or can be combined with other oils such as lavender to create your own signature fragrance for your body. This natural diuretic and soothing essential oil helps the digestion system remain healthy and regular. It helps to rid the body of toxins, such as food poisoning, and also helps to calm the stomach at the same time while still stimulating the digestive track and bowel function. Lemongrass has what is known as antipyretic properties meaning that it has fever reducing properties. In other words lemongrass helps to bring down fevers when used inducing perspiration to essential “sweat out” the toxins from the body. Simply having some lemongrass tea will help to relieve fevers and fever symptoms. Due to its calming and relaxing effects lemongrass is very useful when trying to relieve or calm headaches. It helps to relieve pain, pressure or inflammation, nausea and tension that is commonly associated with headaches. Simply smelling the mild lemony fragrance or massaging a few drops onto the temples can help to alleviate headache pain. It helps to detoxify the body due to its diuretic properties. That is it helps to increase the urination in a person thus helping to remove impurities from the system; did you know that your urine is 4% fat? Helping to remove excess water which will help reduce inflammation and swelling. It also helps to increase your digestive tract movement helping to speed up the voiding process. By speeding up the voiding process it helps in removing excess gas from the system as well. All of this movement helps to lower your blood pressure and helps to clean out the kidneys. Using lemongrass on your hair can help to strengthen the hair follicles. This is perfect for those struggling with hair loss, hair breakage or an itchy or irritated scalp. By simply massaging a few drops into your and onto your scalp and leaving it in for two minutes then rinsing will help to give your hair a shiny, healthy, fresh look. Lemongrass has a very soothing and relaxing scent thus calming a person to help reduce and relieve anxiety and stress. When used in a massage oil or body lotion the natural stress reducer comes out in full force helping a person to relax and be present. Simply smelling lemongrass can also promote this relaxation and stress reduction. Since lemongrass has so many health properties it is perfect for your skin. It helps to give your skin that glowing radiant look while also strengthening at the same time. It is the perfect toner for all skin types because of its antiseptic properties and astringent properties. It also works well in lotions, soaps, shampoos and conditioners. With lemongrass having so many vitamins and minerals in it along with its antimicrobial, diuretic and pain reducing properties it is no wonder it helps to boost ones immune system. It can help to reset the body, helping to get out the toxins and bugs. Lemongrass will help specifically with the functioning systems of the body to give the body strength while boosting the body’s immune system. It also helps to increase the absorption of nutrients into the body. The functioning systems of the body include the digestive, excretory, nervous and respiratory systems. Due to its analgesic properties lemongrass is a very good inflammation reducer. The analgesic properties not only help to reduce inflammation but they also help in pain relief. Lemongrass has been known to help with many health conditions and diseases that create inflammation and pain throughout the body. Such health conditions and diseases are arthritis because of the inflammation and pain associated with it, asthma because of the inflammation inside the lungs during an attack, Crohn’s disease because of the inflammation and pain associated with it in the stomach and cancer because of the pain and inflammation the whole body goes through. These are only a few examples of the health conditions and diseases that lemongrass can help with there are other health conditions and diseases that lemongrass can help with when it comes to inflammation and the pain associated with it. Due to its astringent properties lemongrass helps to lower ones cholesterol. 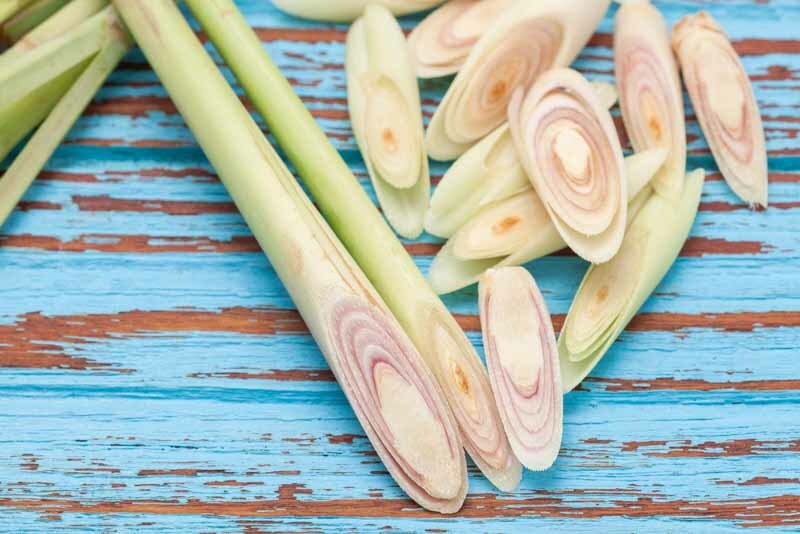 In other words lemongrass helps to increase blood flow decreasing the stoppage of blockage of blood flow that can occur in the arteries and blood vessels due to a build-up of plaque that can occur and begin to harden on the artery walls. It helps to reduce LDL or the bad cholesterol in the body while helping to maintain a healthy level of triglycerides in the system. Lemongrass can help to protect against cardiac disorders if taken properly and regularly. Lemongrass can help to reduce and relieve muscle pain especially after strenuous activities. It can help to promote blood flow and circulation throughout the body and especially the problem/sore areas. It also helps to reduce the aching that can be associated with muscle pain and/or over use. Due to its antibacterial properties lemongrass is the perfect natural antiseptic. It is not only safer for you and your family to use daily but it is also safer for the environment rather than antibacterial soap and cleaners. It can easily be diluted and combined to make hand soap, dish soap, lotions and creams. It is also great for cleaning cuts and scrapes, though it still might sting a little to clean them out. The soothing and calming effect that lemongrass has easily helps to calm a restless mind to help promote relaxation and sleep. It helps to relieve tension and anxiety thus promoting a longer deeper sleep which increases the quality of the sleep. It has been known to help those with insomnia. Simply having some lemongrass tea during your time of the month will help to reduce inflammation, pain and cramping in the abdomen. Lemongrass is a natural muscle relaxant which will help to reducing the cramping that is associated with menstruating. It is also a natural anti-inflammatory and pain reliever with can also occur during menstruating. It has been known to help with nausea and irritability that can also occur during this time of the month for women. Lemongrass can aid in many stomach ailments such as excessive flatulence, gastritis and ulcers. How you may ask? Because lemongrass is a natural diuretic it can help promote digestive tract movement to help express this out of your gastric system. It helps to relax abdominal muscles to help the digestive track move more smoothly creating less backup over time. It can also help to relieve stomach pains, nausea and diarrhea. Add a few drops to hot water. Stir and drink. Can also steep lemongrass leaves in 2 cups of boiling hot water for a few minutes or until desired taste. Or you can purchase lemongrass loose tea or tea bags. Add lemongrass to the roller ball container. Top off with the carrier oil. Shake well and use on affected area for pain relief. Mix all of the ingredients in the spray bottle and shake to mix. Spray over body avoiding the eyes and mouth. Place ingredients in the jar. Cover jar with a small piece of fabric and secure to jar with the ring. Place in any room of you home for a lovely fresh scent. Add the lemongrass to the Epsom salt adding the coconut oil until the salt is saturated. Scrub over feet and/or body and rinse. In a bathtub or bowl add lemongrass to warm water and stir. Place feet into the mixture and soak for at least 10 minutes. Use the mortar and pestle crush the stalks to begin releasing the oil. Fill one of the jars with your chosen carrier oil and place the crushed lemongrass stalks in it. Leave the jar untouched in the heat and/or sunshine for at least two days to cure. Using the cheesecloth strain the first jar into the second jar making sure to expel everything out of the stalks. Repeat this process until you have your desired lemongrass scent. Once you have your desired scent transfer all of the oil into the dark glass container and seal placing it in a cool dry and dark place. The oil can be used and saved for at least a year. Lemongrass is a fairly safe herb to consume and essential oil to use; however, some people are more sensitive than others and can have a reaction to lemongrass through consumption or topical uses. Lemongrass is not toxic but irritations can occur in those with sensitive skin. For those with sensitive skin please exercise caution; if the skin becomes irritated or a rash forms discontinue use. It is recommended you try using the oil on a small patch of skin prior to full usage to see how your body will react to the oil. Diluting the oil with water or a carrier may help as well. Those who are pregnant or wish to become pregnant should avoid using lemongrass because of the astringent properties it could induce a miscarriage. It may also increase the menstrual flow. To put it plainly not everyone or every company makes their essential oils the same. Just like every t-shirt, cellphone or condensed soup are not made the same way. This can make the purchasing of your essential oils difficult but here are a few things you need to know when seeking out your oils. Buy small amounts to begin with. You do not want to buy a lot only to find out the quality is poor so buy a small amount and test it. Test the oil. Place a small drop of the oil on a piece of heavy-weight paper and let it dry. If it dried quickly and a ring is noticeable then it is pure. If there is no ring then it has been diluted. Always store away from heat and light. Be sure to remove the rubber dropper as well for maximum storage and future use. Replace the dropper with a bottle lid. Hopefully you’ve found this post helpful! what do you recommend for carrier oils? Sesame, almond, coconut, grapeseed, apricot etc.